For those who struggle with sensitive skin, finding an acne treatment that works can be a very difficult and sometimes painful process. We here at Face Emergency Skin Care are here to help you understand what acne and sensitive skin are, as well as how to treat both conditions safely. Although the definition of sensitive skin may vary from one esthetician to another, dermatologically speaking people with sensitive skin will react negatively to skin care products or even the weather. Skin reactions such as redness, burning, rashes or pimples in response to treatments or products are indicators of sensitive skin, as well as reactions caused by exposure to the elements. Skin damaging environmental factors such as excessive heat or cold, and in particular excessive sun exposure, can cause skin to become sensitive over time, while injured or overly dry skin leads to skin sensitivity because the skin can no longer protect nerve endings. Acne vulgaris, commonly known as acne, is a skin disease that results in the formation of pimples such as whiteheads, blackheads or even cysts. Acne occurs when oil glands underneath the skin become overactive and start producing too much sebum, an oily substance that prevents skin from drying out. When too much sebum is produced dead skin cells stick together and form a plug, which creates a blockage in the skin pore. Increased sebum production or blockage of pores can result in the multiplications of P. acnes, a bacterium that is found within the pores of healthy individuals. Rapid growth of this bacterium not only damages pores but can also result in inflammation, a typical symptom of acne. Unfortunately, acne treatments usually contain strong products that dry out acne-prone skin in an attempt to reduce sebum production, which can result in the skin peeling or becoming irritated. Other products aim to minimize inflammation and redness, or inhibit the growth of P. acnes. Benzoyl peroxide, for example, is a common medication used to treat mild to moderate acne, but can result in red, dry skin as well as increased skin photosensitivity. Similarly, the often-prescribed azelaic acid and salicylic acid can cause skin irritation even at low concentrations, creating discomfort for people with sensitive skin. So, how do you treat someone who has acne and sensitive skin? The solution differs from person to person, and depends on how extreme their acne is. For someone who has mild to moderate acne, it is possible to treat outbreaks with more natural ingredients such as tea tree oil. Estheticians can use products that are tailored for people who have sensitive skin rather than stronger products that might trigger outbreaks. It is also important to remember that your lifestyle and diet can play an important role in preventing breakouts, especially if you can’t use the typical acne treatments. Minimizing your sugar intake, exercising regularly and reducing stress can be one of the best ways to treat acne, however it is important to go for regular facials and skin treatments to prevent future breakouts. 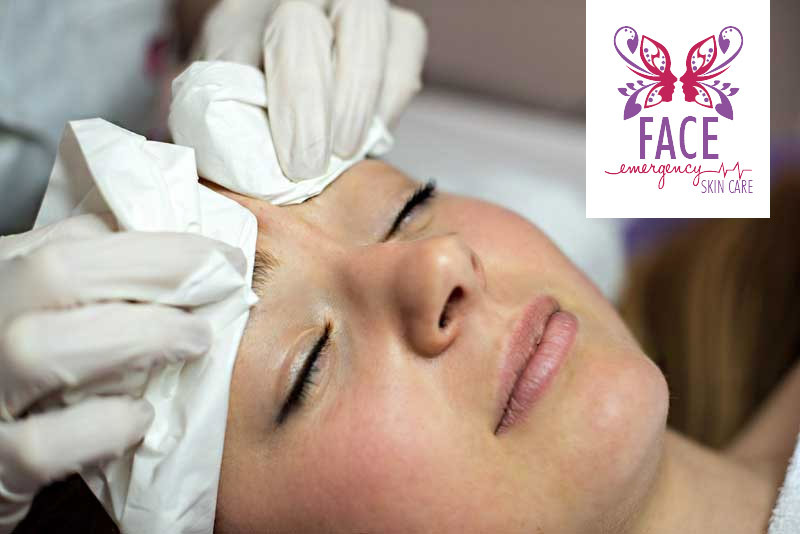 Before receiving a facial or any other skin care treatment at a spa or salon, it is vital to tell your esthetician that you have sensitive skin to ensure that he or she can use appropriate products for your skin.